The energy drink market is thriving, driven by our need to keep up with the demands of a fast-paced, high-energy society. However, many experts are now warning that relying on these drinks to keep us going may be welcoming some serious side effects. There is no denying the fact that the average American lifestyle is far busier today than it once was. While we continue to add new technology to the mix in an effort to make life ‘easier’ one may argue that we’re actually making our lives increasingly complex and demanding. As a result, we are sacrificing many of life’s necessities, like eating healthy, working out and getting a solid night’s sleep, in favor of being ‘productive’ and trying to ‘keep up’. However, in doing so, our energy levels are depleting leading us on the search for a quick and easy solution. This is where our love of stimulants comes into the mix. Look, for a moment, at the national coffee addiction that drives major companies in the United States like Starbucks. It is estimated that Americans drink approximately 400 million cups of coffee each an every day. For those that don’t crave a cup of coffee to start their morning, or are seeking a faster-acting solution, the number of energy drinks available on the shelves of our convenience stores continues to grow at an alarming rate. In fact, in 2016 it was estimated that 60% of male Americans and 40% of females were addicted to energy drinks. 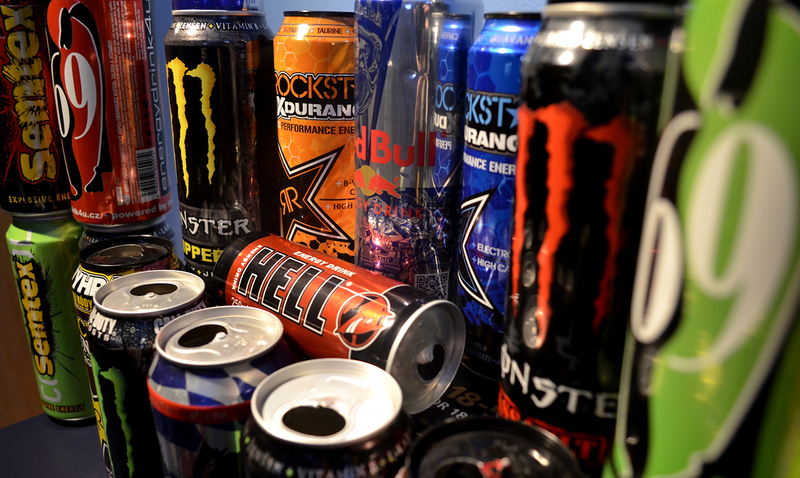 A new study out of the University of Texas in Houston highlights some serious risks from the consumption of energy drinks. John Higgins, M.D., M.B.A., and his research team worked with a group of 44 participants, each a non-smoking, healthy medical student in their 20s. The team conducted a test on the blood vessel function of each participant prior to asking them to drink a 24-ounce energy drink, and then again after it’s consumption. They then compared the data to better understand the impact of a single energy drink on the health of the participants. Their findings were concerning. The tests after drinking the energy drink revealed the blood vessels of the participants had dilated significantly. This level of dilation is a recognized indicator of cardiovascular risk. Blood vessel dilation impacts the flow of blood throughout the body, altering our blood pressure and, in turn, putting unnecessary stress on the heart. This increases the risk of both heart attack and stroke. Dr. David Katz, director of Yale University’s Yale-Griffin Prevention Research Center advised that the combination of stimulants and sugar in these drinks may not even be as effective at providing energy as we would like to believe. “There are far better ways to boost energy, such as standing up and getting a bit of exercise.” Rather than looking for the ‘quick fix’, he suggests we reconsider the benefits of once again focusing on the basics. While this study is relatively small, it’s an important step towards better understanding the impact of these drinks on our overall health and well-being. The authors of the study concluded, “As energy drinks are becoming more and more popular, it is important to study the effects of these drinks on those who frequently drink them and better determine what, if any, is a safe consumption pattern.” Further study is required.